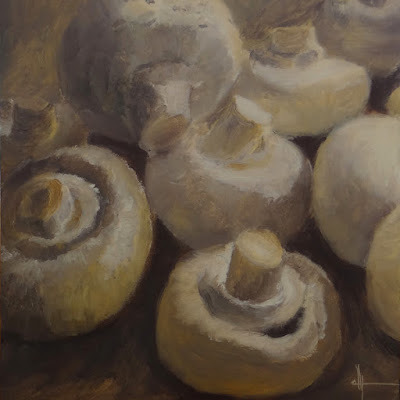 diana lynn's painting a day: Mushrooms. I tried to stand back and gauge the values from a distance like the famous painter John Singer Sargent did. The end result is interesting and I rather like it. The sloppiness, for lack of a better word, keeps my eye on the painting. I will definitely give the stand back and paint style another go.